StartUp Health, which is organizing and supporting a global army of Health Transformers, announced today the inaugural Call for Innovations for StartUp Health Colorado. This Call for Innovations is a part of the unique collaboration between StartUp Health, University of Colorado Anschutz Medical Campus, Children’s Hospital Colorado and UCHealth, to discover and support entrepreneurs and innovators seeking to transform health. 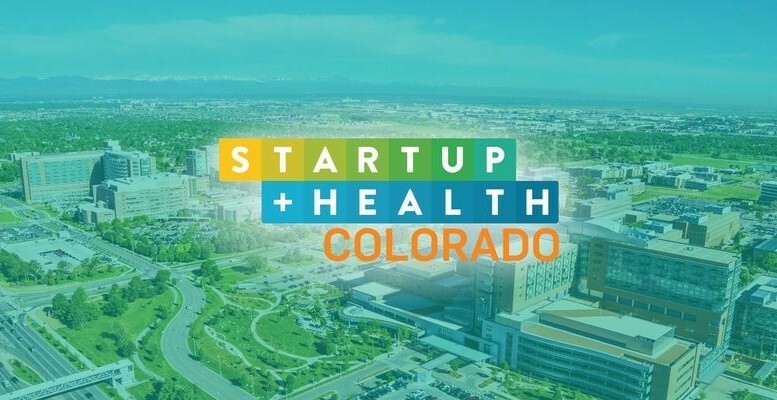 Entrepreneurs selected for StartUp Health Colorado will receive co-development, clinical validation and pilot opportunities for their companies with Children’s Hospital Colorado and/or UCHealth, both nationally-recognized, top-ranked hospital systems. Entrepreneurs will have direct access to the researchers, faculty, clinicians, and leadership from these world-class institutions as they implement their solutions at the point of care. In addition to clinical validation and pilot opportunities, entrepreneurs accepted into StartUp Health Colorado companies will become a part of StartUp Health’s global Health Transformer community, receive lifetime access to the StartUp Health Academy to help grow their business and receive access to StartUp Health’s global network of over 30,000 industry leaders, investors, customers and world-class partners like AARP, GE, Janssen Research & Development, and others. “StartUp Health Colorado is giving entrepreneurs a unique opportunity to commercialize alongside these world class institutions and improve the quality of their solutions and products.” said Kim Muller, Director of CU Innovations, University of Colorado Anschutz Medical Campus. “We’re looking forward to supporting entrepreneurs from the Rocky Mountain region and around the world and inviting them to be part of our global army of Health Transformers” said Polina Hanin, Director of StartUp Health Academy. StartUp Health’s unique long-term platform for supporting entrepreneurs building digital health companies has resulted in the world’s largest digital health portfolio (more than 175 companies spanning 5 continents, 16 countries and 60+ cities), 10 acquisitions by companies including Intel, WebMD, Under Armour and Zimmer Biomet and its companies have raised over $620M of funding since 2012. StartUp Health’s diverse portfolio is currently comprised of 40% “doctorpreneurs”, 30% female founders and almost one-third serial entrepreneurs. Entrepreneurs can apply online for this inaugural Call for Innovation until December 9, 2016 at StartUpHealth.com/Colorado. Entrepreneurs currently in StartUp Health Academy, or that have previously applied to StartUp Health, will also be considered if they submit an application by the deadline. Entrepreneurs selected for this program will be announced in spring 2017.